Trump's administration is facing strong criticism from rights activists for separating children from their parents at the US-Mexico border. 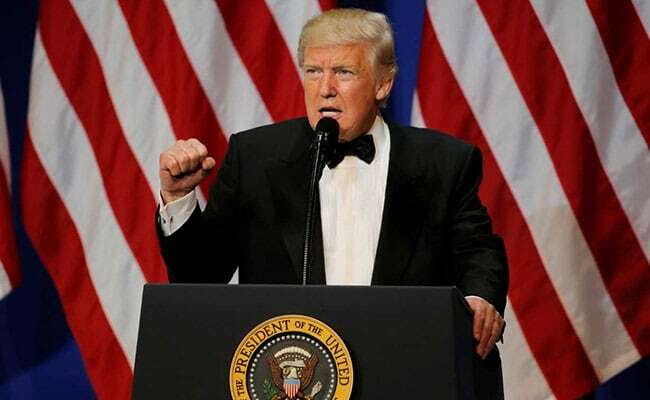 Washington: US President Donald Trump on Monday blamed migrants in Europe for what he inaccurately described as a rise in crime in Germany and for violently changing the culture, adding that what was happening with immigration there presented a similar threats to the United States. "The people of Germany are turning against their leadership as migration is rocking the already tenuous Berlin coalition. Crime in Germany is way up. Big mistake made all over Europe in allowing millions of people in who have so strongly and violently changed their culture!" Trump, said in a tweet. Trump's administration is facing strong criticism from rights activists, Democrats and some in his own Republican Party for separating children from their parents at the U.S.-Mexican border, a policy aimed at deterring illegal immigration. Crime has fallen off dramatically in Germany, with the country's internal ministry reporting last month that criminal offenses in Germany totaled 5.76 million in 2017, the lowest number since 1992, leading to the lowest crime rate for the country in more than 30 years. Merkel's open-door migrant policy is widely blamed for the rise of the right-wing AfD, now the main opposition party in Germany's federal parliament. More than 1.6 million migrants, mostly Muslims fleeing wars in the Middle East, have arrived in Germany since 2014.